During the rainy season the expansive plains turn a vibrant green and hundreds of species of birds and small mammals arrive to feed on the profusion of life. 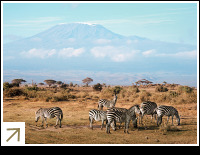 There are five different habitats in Amboseli: open plains, acacia woodlands, thorn scrub, swamp and marshlands. 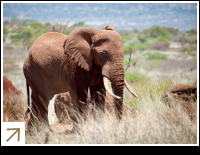 This diversity of habitats allows for excellent game viewing all year round which explains why a tour to Amboseli is such a popular option with travellers.